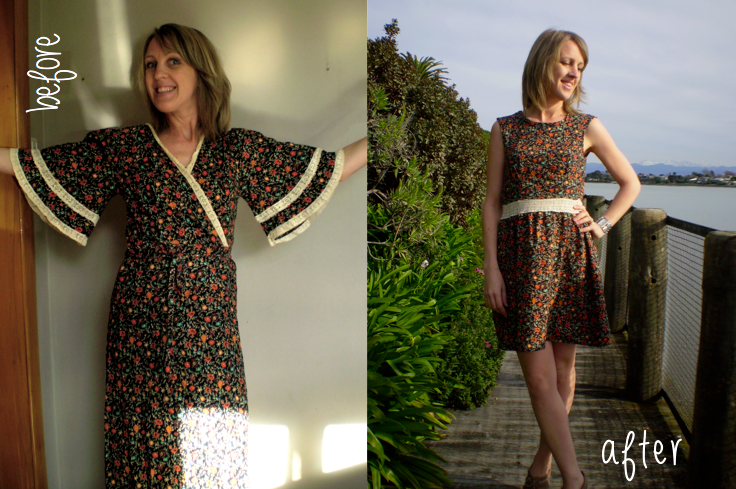 It’s the last week of Refashion Runway and a winner is due to be crowned next week! I haven’t made it through to this round, but pop on over for a refashion feast anyway and vote for your favourite! So, this last challenge is themed “summer dress”. While it is winter here, I’m still really excited about this one. I found this “vintage” doozy a month or so back and knew exactly what I wanted to do with it. 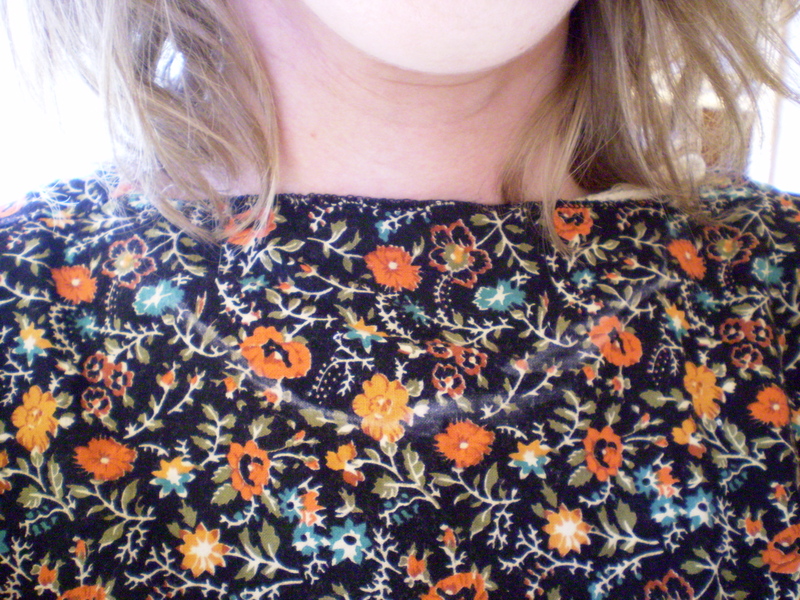 First I turned it around backwards (as below) and drew a new neckline. 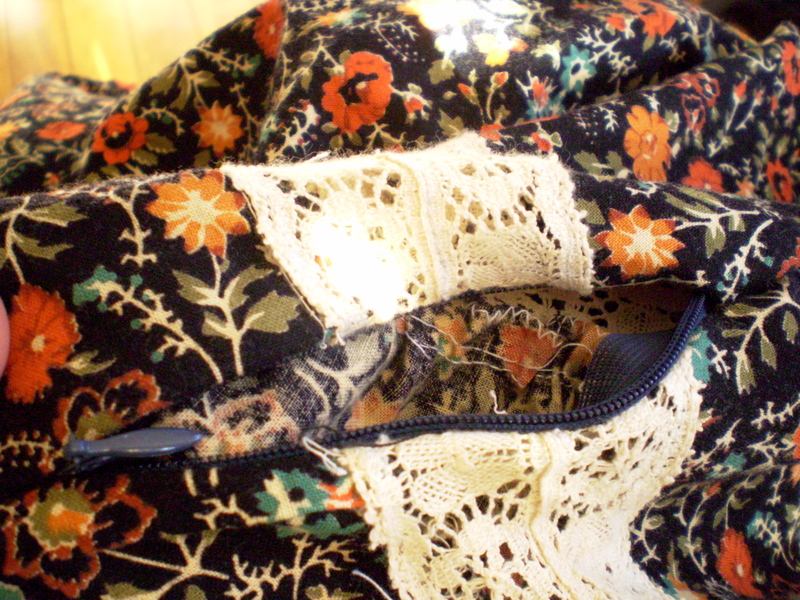 then I sewed the back (formerly the front) together to form a deep “V”, tapering off the join in the lace for a nice mitered finish. 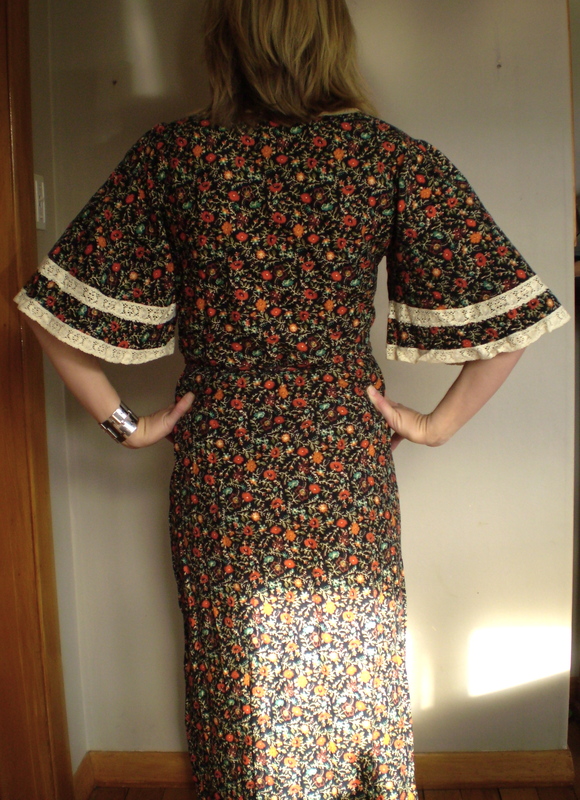 then I unpicked the skirt and created a bodice from the top. I did this by pinning darts into the front at the waist and also below the shoulder at the arm hole, before joining these darts together over the bust to create a nicely tailored “princess seam”. 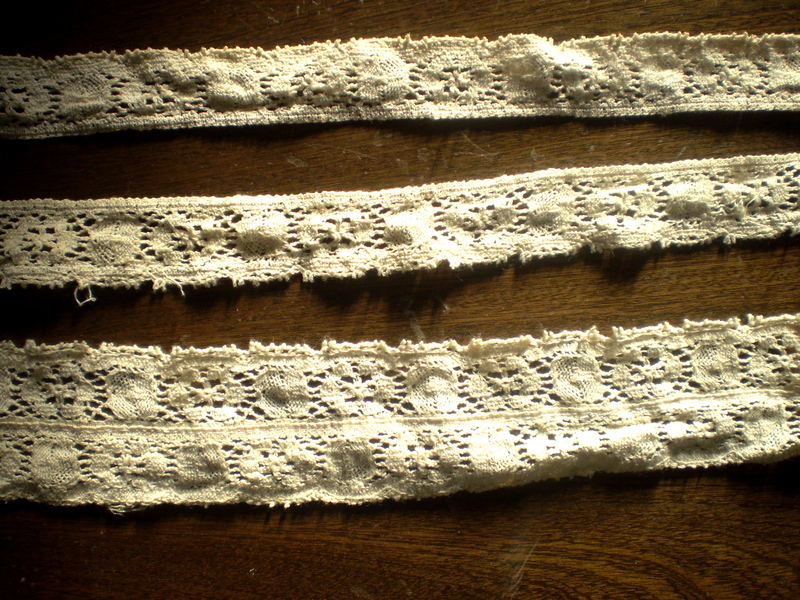 The lace strips were then attached to the bottom of the bodice where the waistline is. 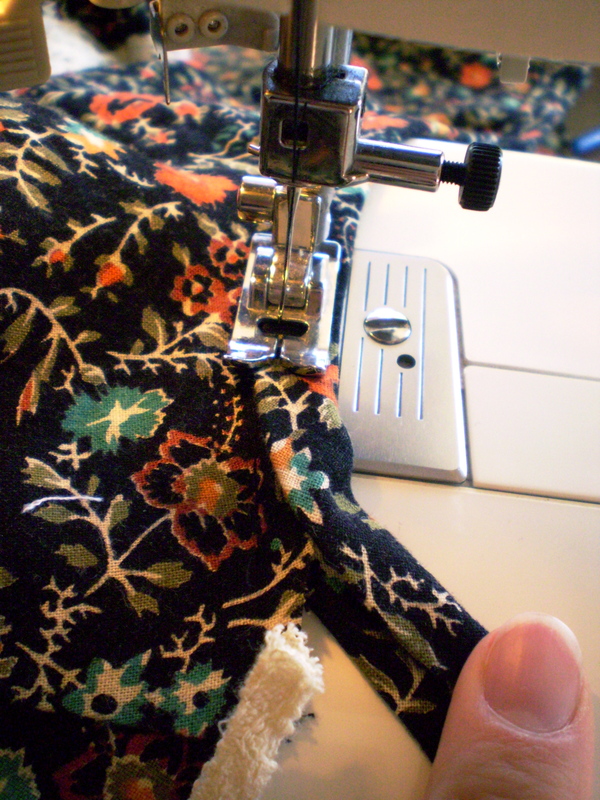 The skirt was shortened, gathered and then sewn onto the lace. 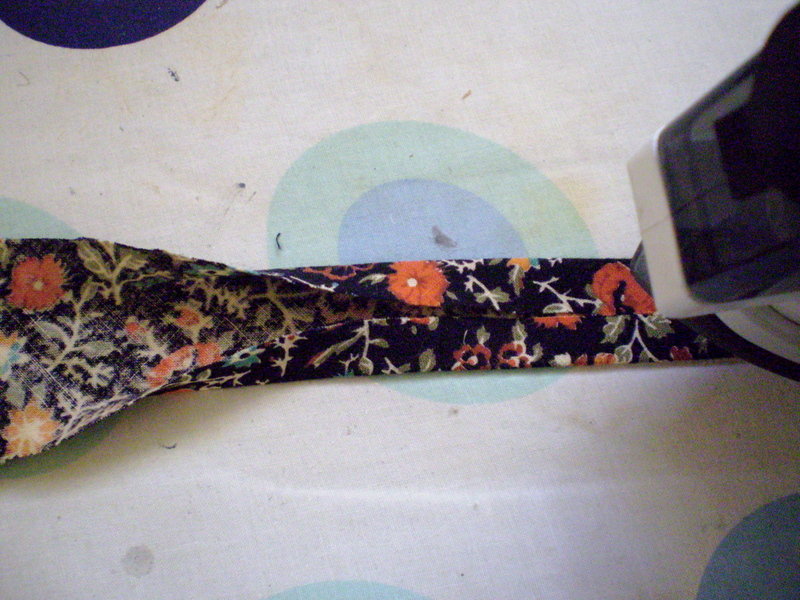 Because the dress is so tailored, I added an invisible zip into the side seam too. To finish off, the armholes were handsewn down and I used the excess skirt fabric to make bias binding for the new neckline (after I cut away that extra lace I’d left there at the start). 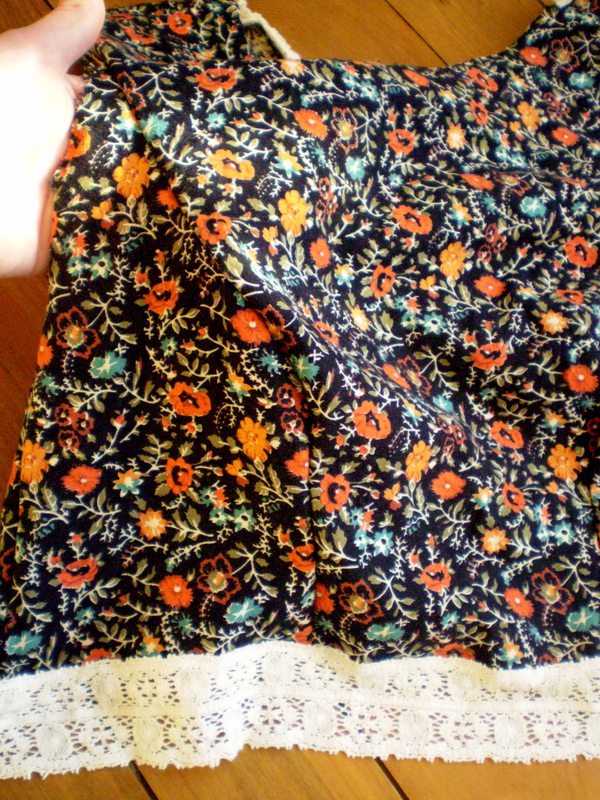 After hemming the skirt, I was all done! I LOVE the back of this dress. 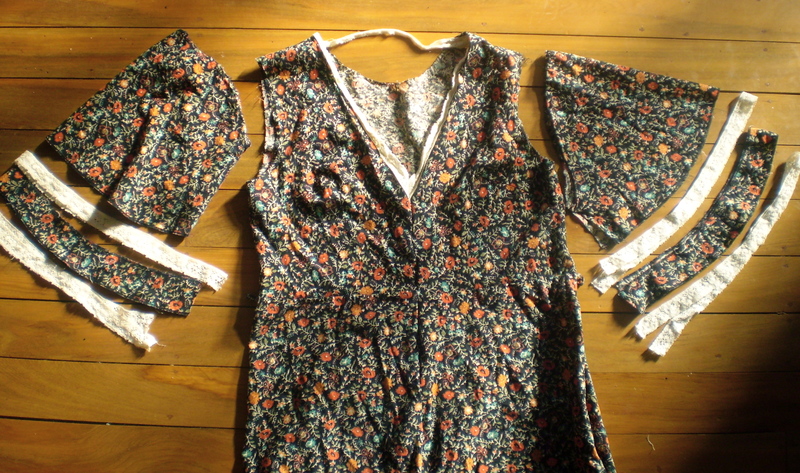 Definitely my favourite part and something I’d like to repeat on another refashion sometime. That back V is to die for!! Wow so cute and creative!!!!! I love the back V with the lace. Great job! Sorry you didn’t make it through to the next round, but I’ve really enjoyed your refashions. I think this turned out really nice and I love the V with the lace on the back. Great job. Thanks so much Ingrid. I really appreciate that! Thanks Jen 🙂 It’s been fun doing this challenge with you! Thanks! I feel the same! 🙂 This has been so much fun! I’m not going to know what to do with myself now that it’s over! I’ve been putting so much time and energy into it! Exactly! I think I need a week or two off from sewing before doing more refashions though 🙂 I’ve needed to regroup a little today and get some fresh direction, it’s really consumed me over the last few weeks! 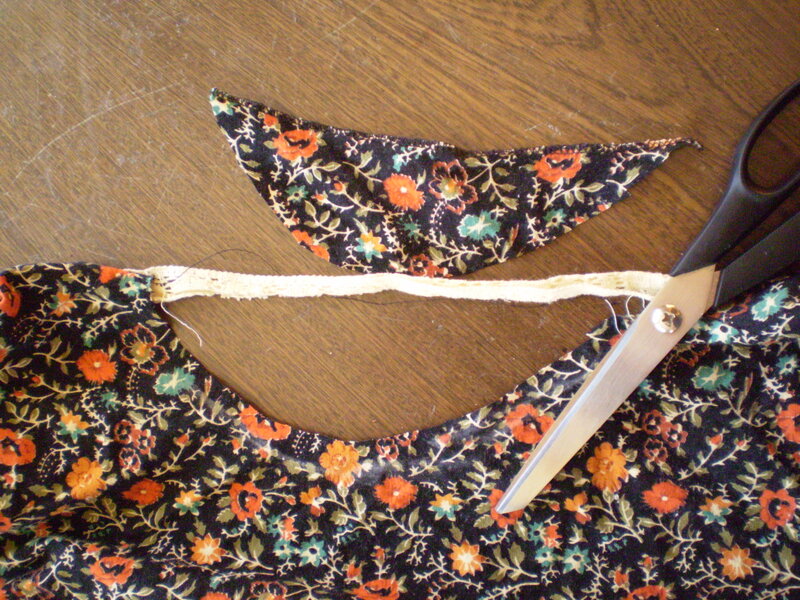 I’ve been thinking of a lot of quick and easy refashions that use up scraps! I have accumulated quite a few scraps over tha last few weeks! It turned out beautifully and I love your photos! Very clever to wear it backwards, the new neckline looks great! Thanks Miche. All the best for this last round of voting!! Love this makeover! What a visionary! Thanks Miriam, you’ve all be so encouraging! The summer dress is the last challenge, so I’m feeling really satisfied to have completed them all. 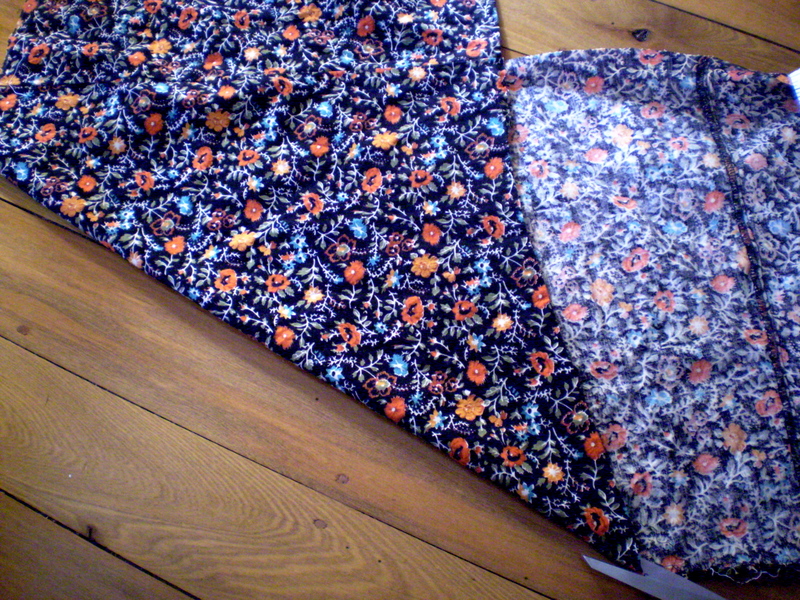 Will need a week or two break from sewing now though! I love the back, a total transformation! Were you cold taking these pics? I’m kind of shivering just looking at you! I’m so with you on the V back! definately needs to repeated again…looks fab!! Aww, thanks Nay! Do you think you’ll take part in the next one? I did apply, I just didn’t get through 😦 Worked out well though as the last few weeks have have been really busy and I would have been stressed out of my brain trying to keep up! Wow wow wow! Awesome! Fab back, really striking and pretty – go you! Thank you so much Leonie! You’re so sweet!